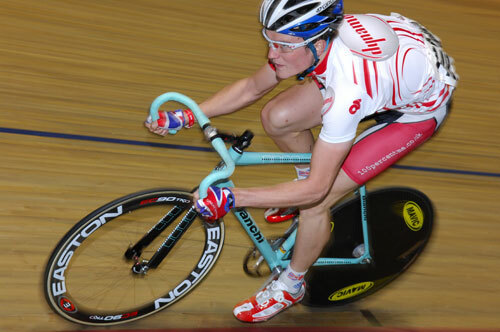 Academy rider Andy Fenn has made the jump to the professional ranks for 2011, signing with the An Post-Sean Kelly team. “It’s not that different, but it is a step up. I had this in my head halfway through the year, it’s been a while coming,” Fenn added. A former junior Paris-Roubaix winner, Fenn will join compatriot Mark McNally, as well as several other English-speakers, including Irish talents Sam Bennett, Mark Cassidy and Phil Lavery, on the squad. “Fenn is a high quality addition to the team. Anybody who wins the Paris-Roubaix as a junior has serious potential and we are delighted he has signed for us. He is one for the future and it’s great that we can be part of his development,” team manager Kurt Bogaerts said. The 20-year-old has spent two years with the GB Academy, claiming several good results, including winning the U23 national championship this summer. With the Academy rumoured to be having a Belgian base next year, he may still see a lot of his former companions. Casey Munro is the last addition to the Rapha-Condor-Sharp squad for 2011. The Australian, who rode for Pendragon this year, is likely to play the role of domestique. Munro was involved in a serious crash at the Chester round of the Tour Series, but he has made a full recovery. While Helen Wyman’s ground-breaking victory was undoubtedly the pick of the home results at Monday’s Koppenbergcross, the rest of the Belgian Britpack also fared well. Through the deep Flemish mud, Ian Field (Hargroves Cycles) rode to 21st place, 7-26 down on winner Nijs. Meanwhile, Nikki Harris was pleased with eighth in the women’s race, making up several places late in the race. “I started on the second row but got another good start in the race, up until I had to get off my bike I was in third place,” Harris said. Meanwhile, Gabby Day, still recovering from her crash four weeks ago, placed 13th. A few tickets are still available for this year’s Dave Rayner Fund dinner. Triple Olympic champion Bradley Wiggins, Dean and Russell Downing are all scheduled to attend the popular evening of entertainment and auctioneering at the Hilton Hotel, Bradford on Saturday, November 13. Set up in memory of Yorkshire pro Dave Rayner, the Fund provides financial assistance to talented young British riders keen to establish themselves on the continental racing scene. The Fund supported 26 riders this year including under-23 national time trial champion Andrew Griffiths, and has helped more than 250 riders since its inception in 1995. A successful 2010 season saw former recipient Matt Brammeier recently sign a ProTour contract with Mark Cavendish’s hugely successful HTC-Columbia team. Previous beneficiaries also include Commonwealth Games champion David Millar and Dan Martin (Garmin) whose strong season end included victory at the Tour of Poland. The evening will be hosted by Eurosport’s David Harmon and tickets are priced at £40. For further information see www.daveraynerfund.com.